NIDA Director Nora Volkow recently issued a statement warning about the dangers of an apparently new stimulant abuse phenomenon in the US, “Bath Salt” abuse. Her announcement follows on a press release issued earlier this month by the Office of National Drug Control Policy. The psychoactive form of bath salts can contain synthetic stimulants related to cathinone including pyrovalerone, mephedrone, and 3,4 methylenedioxypyrovalerone (MDPV) that have amphetamine-like effects. Abuse of these substances has been linked to deaths and a substantial increase in the numbers of calls to US Poison Control Centers, and much press attention has focused on the phenomenon, including coverage by National Public Radio, CNN, and the Los Angeles Times. There are some excellent blog posts providing background on Bath Salt abuse and the phenomenon of designer drugs including one at Addiction Inbox and a number of posts by Drug Monkey (e.g., August 2010 and September 2010). While synthetic stimulant abuse seems to be a rapidly emerging phenomenon in the US, the international experience with these drugs goes back several years and a number of countries have outlawed them. In the US, a number of states are moving to ban abused forms of bath salts. Director Volkow’s statement indicated that NIDA would promote research in this area. Currently, little has been published about how the psychoactive constituents in Bath Salts work. 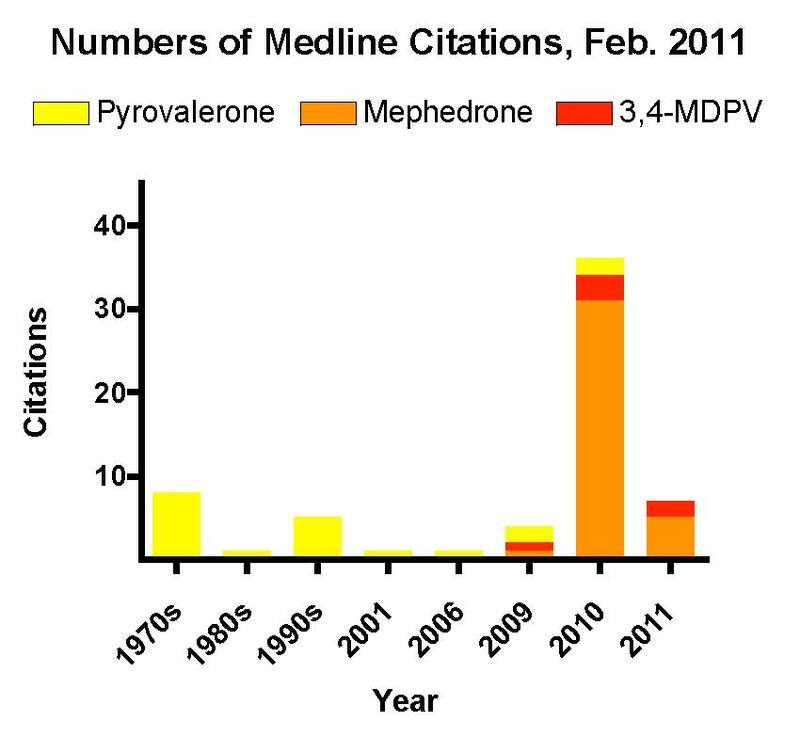 A MEDLINE search for research studies using the terms “pyrovalerone” “mephedrone” and “3,4 methylenedioxypyrovalerone” turned up surprisingly few hits (Figure). 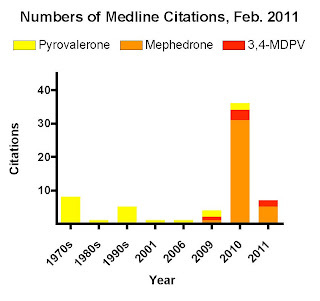 The earliest pyrovalerone studies were published in the 1970s including some interesting titles such as “A controlled evaluation of pyrovalerone in chronically fatigued volunteers” and “Abuse of pyrovalerone by drug addicts”. More recent titles include “1-(4-Methylphenyl)-2-pyrrolidin-1-yl-pentan-1-one (Pyrovalerone) analogues: a promising class of monoamine uptake inhibitors” and “A novel photoaffinity ligand for the dopamine transporter based on pyrovalerone”. By contrast, mephedrone and 3,4 methylenedioxypyrovalerone studies have only been published over the last few years and most of the published work focuses on epidemiological issues. 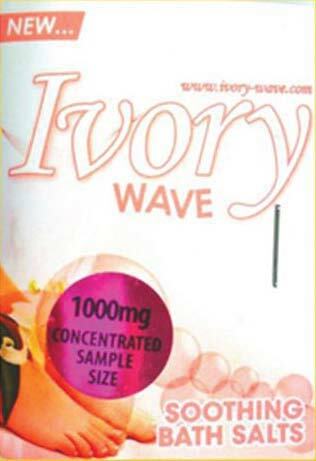 Thus, synthetic stimulant research may become a hot topic for addiction researchers over the coming years. For an update on the science of these compounds, see the post on the "Bath Salts" Symposium at the 2012 CPDD Annual Meeting.